MCTS Driver Tiffani Lee was driving on Oklahoma Avenue near 110th Street on Friday, April 21, 2017 when she saw a young girl walking alone. As a mother, Tiffani knew something was not right. She pulled over and had the girl get on her bus while she called for help. The entire incident was caught on the on-bus video system. Tiffani's actions ensured that the lost 5-year old got home safely. Her story spread quickly on social media and number of local news stations talked to Tiffani about the incident. "That tore me up that week so bad," Cheryl Wentland, the girl's aunt told WISN 12 News. According to the WISN 12 News story, Wentland said she told her goddaughter that they were going to the mall that day. She said the girl got up early and left her home without telling anyone. "I promised to get her some shoes that weekend, and I think she had it on her mind, and she always says 'Wait for you by the bus stop,'" Wentland said. 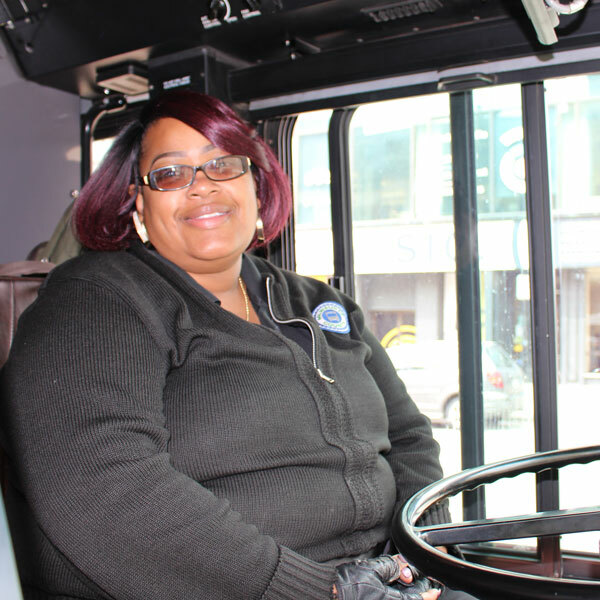 Milwaukee County Transit System bus driver Tiffani Lee drove by the girl and instantly knew something was wrong. "I'm a parent, so I knew no parent would let their children be outside in that kind of weather with a flip flop and a tennis shoe, no way," Wentland said. Lee invited the child to warm up on the bus as she called police for help. A West Allis police officer then walked onto the bus and knelt down to speak with the child. The little girl told him she was lost and he gently held her hand and walked her home. Family members said they are forever grateful to both the officer and the bus driver's compassion. "Thank you (to) that bus driver. Thank you so much. I got my baby back," Wentland said. The family said the child somehow unlocked the front door and left while her mother and siblings were asleep.